The college application essay is perhaps the most important composition you will write during your entire high school career. Since you’ve been writing essays throughout high school, you should be an old pro at this, right? Well, not quite. The college application essay is a completely different animal than the literary or persuasive essays you’ve known the last few years. In some ways, the college application essay gives you more freedom to be creative and to show more of your authentic self. This can feel invigorating. In other ways, this type of essay is more cutthroat, as the difference between a great essay and an excellent essay is very slight. However, you can master these distinctions and show a compelling glimpse into your authentic self in a way that dazzles the admissions board. This can crack open the door of your future to the brightest path possible. 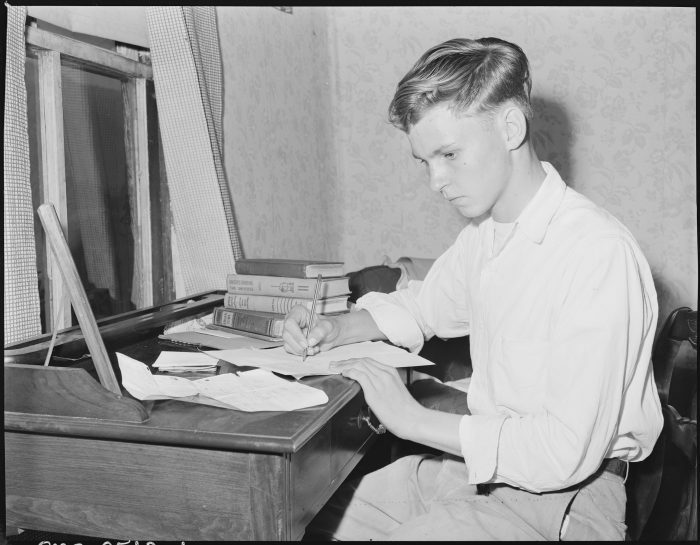 The college application essay refers to a piece of writing that is an integral part of an individual student’s application for admission to a particular university. This essay is sometimes referred to as an admissions essay, application essay, personal statement or statement or purpose. Some colleges and top universities ask the applicant to complete several such essays. Other institutions just ask for one. Often there are several questions to choose from, though sometimes schools ask that the applicant complete one single question selected by them. The topics of the college application essays are at times exceedingly specific or very wide in their interpretation. The most recurrent types of application essay statements revolve around three topics: Background/talents of the applicant, importance of chosen field of study, or mutual benefit. College application essay topics that ask about the background/talents of the applicant want to know what it is about you/your life experience that makes you such a compelling candidate. Such a prompt invites students to share stories about overcoming adversity, dedication to sports/art, or conquering obstacles. The next such topic wants to know in what direction your academic pursuits are directed. This allows them to see how ambitious you are and to get a sense of how balanced or imbalanced you would make the prospective student body. For instance, the admissions committee can’t just admit an entire class of pre-med students, as that would make the entire student body highly imbalanced and a bit dull. Finally, questions about the mutual benefit of your admission want to know why you feel you would benefit from admission. Likewise, this question asks why the college would benefit from having you as a student. The key to succeeding in the college application essay is to make sure you answer the question in a way that is completely original, and that honestly showcases the best side of yourself. Since most college applications are online, there is usually a text box for the applicant to write their essay in. Every applicant must first write their essay in Microsoft Word or comparable software, and then paste it into the appropriate text box. It is important to check religiously to make sure the content is spaced correctly and not cut off nor overlapped anywhere. One of the trickier aspects of formatting a college application essay is that there’s no definitive structure set in stone. Some might argue that it’s best to stick to a solid five paragraph structure, but even that isn’t necessary. You want your essay to be well-organized, but also to be a unique form of self-expression. Stuffing your points into the rigid structure of a traditional five-paragraph essay won’t necessarily help your odds of getting accepted. Essentially, you should have an introduction, body paragraphs and a conclusion. If this takes the shape of four, five, or six paragraphs, it shouldn’t matter, as long as you stay within the word count decreed. Read the prompt carefully and brainstorm ideas on scrap paper. This is where you don’t censor yourself, and just let ideas flow from your mind and imagination about the best way to answer this question. For some applicants, their first idea will always be their best. For others, it will take time to flesh out the best response. Evaluate your ideas with your intuition and let your gut select the most fitting response. The best answer to the question should be the most honest, unique and attention-grabbing one that you’ve brainstormed. Flesh out your hook. Your hook is your first sentence and it needs to be both relevant to the prompt and completely able to grab the attention of the reader. Please bear in mind that members of admissions committees read hundreds of these essays a week. You don’t want yours to blend into all the others, but stand out with its wit and general excellence. The first sentence is perhaps the most important sentence of your essay. This sentence needs to promise the reader that the rest of the essay is going to be very smart, engaging and totally worth the time it will take to read it. For example, in response to an essay question that asks about your background and life experience, a boring first sentence would be, “I’m from New York and growing up in the big city has definitely shaped my perspective.” The problem with this hook is that it sounds like a thousand other essays. It’s also very predictable. A better opening sentence would be “Subway rides to school, bagels for breakfast, and homeless people screaming at me multiple times a day, are all the things I grew up with in New York.” This sentence is more vivid and and innately makes the reader want to keep reading to see where the writer is going to take them on this journey. Write that outline. After your hook, the following sentences are part of your introductory paragraph, which should ease the reader into the subject. The very last sentence should have an overall point or thesis. No, this isn’t a persuasive or literary essay where you are trying to prove a thesis. However, your essay should have a single point or theme that it orbits around. This will ensure that it stays more organized. The other elements of your outline should have the strong topic sentences that will begin each body paragraph. Each body paragraph should also contain compelling examples of support from your own life or unique perspective. Your final paragraph should reconnect the reader as to why you need to attend this school, based again on all the points you’ve already made. Write that first draft. Now that you have an opening sentence, a strong outline, your overall point, and you’ve fleshed out what your body paragraphs need to say, you can write. It is imperative that you do not censor yourself during this step but allow your ideas to flow unfettered. Once you write your first draft, take a break of at least an hour, ideally more time, and then reread it. Underline all the weak parts, repetitive parts, and general misspellings. Rewrite this draft as many times as you need to until is flows smoothly, tightly and that all points and supporting points are clear, unique and engaging. Give your essay to a trusted person to read for feedback. This might be a parent, teacher, coach, or therapist. Ask them for their honest, general thoughts and if there were any parts that stood out as clunky, misaligned or weak. Make revisions as necessary. Put the essay away for a day or two and then reread it. If you feel comfortable and as though it is strong, then you can submit it with your online application. Most college applications will either assign you a specific topic to write about or ask you to choose from a list of five to seven topics. On the other hand, there are some colleges that will ask you to come up with your own topic that you find compelling, giving you total freedom. Every family is weird: How has your family’s weirdness has shaped you into a better person? Describe the biggest challenge you’ve had to overcome. Discuss your biggest failure and what it taught you. Everyone has flaws. Pick one of your flaws and discuss what you’ve learned about yourself from having it. What current event in the last ten years shaped your understanding of the nature of human existence most profoundly? What social issue do you find most compelling and why? Think of a time when you disappointed someone you cared about and what it taught you. Discuss a childhood memory that you feel best encapsulates who you are. If you were a character from literature who would you be and why? If you could instantly change any law or societal mode of conduct what would it be and why? Discuss a historical figure that has largely been forgotten by society and explain why this person is important. Human existence is rife with contradictions. Pick one contradiction that people commonly engage in and discuss why it exists and what should be done (if anything). Pick a public figure living or dead that you would like to interview and discuss why. Would you rather be able to instantly relieve suffering in the world or prevent massive suffering from happening in the future? Why? What is a noble profession? Do you aspire to be in one eventually? Why? In addition to the examples below, you can view all our example college application essays. My parents are the most boring people you will ever meet. This is something I tell all my friends along with any other visitor that comes to my home. People smile when I say this, and they probably think I’m exaggerating. However, they very soon realize that I’m right. My parents, aside from being honest, kind and hard-working, are unmistakably dull. They cook the same five dishes every week. On Saturdays they go to the same pizza restaurant for dinner. On Sundays, my mom makes a pot roast. They watch the same programs every night: CNN followed by reruns of the Oprah Winfrey show. My dad fishes and plays golf. My mother sews and does crossword puzzles. They each have three friends that they have known for over twenty years. They never bicker, laugh loudly or raise their voices. They don’t drink or smoke. They never yelled at me when I was growing up, nor punished me severely (I was a great kid). These two dull people have taught me everything about risk-taking. I’m blessed that they taught me so much about personal integrity and that they instilled such strong values in me that I am now someone who expresses gratitude regularly, who always tells the truth and who makes an effort to help others. My parents’ love of their routines, their safety and comfort has also shown me the importance of taking risks. Risks and their consequences help show us what we’re made out of and push us to do things that scare us. It is consistently testing that inner sense of fear that can be so rewarding and so instructive. I’ve tried to make my high school years filled with nothing but risk. I played ice hockey, took up skate-boarding, did musical theatre, asked out gorgeous girls, volunteered in a homeless shelter on the more dangerous side of town, and worked with an organization that rescued wild dogs. Some of these risks were fun. Others left me with a broken collarbone and fractured ribs (I’ll let you guess which). However, the importance of taking risks has come through loud and clear: taking risks forces an individual to grow. My experience in taking blind risks has shown me the value in feeling fear at the prospect of something, yet the importance of doing the potential activity anyway. All this risk-taking has shown me why so many people go to such lengths to avoid risks: they really are scary. Sometimes the results can be messy, painful and embarrassing. But within all that enormous discomfort is personal growth. In all honesty, these experiences have also shown me the value and importance in mitigated risk. I imagine later in life it will benefit me to engage in more calculated risks, particularly in business. However, these experiences have also shown me that when I really believe in something, risking my safety, reputation, ego, or sense of certainty is completely worth it. And this is something my parents, in all their dullness and practicality have given me. I choked. My teammates needed me, and I choked. Allow me to explain. It was the Lincoln-Douglas Debates City Finals last year. Our team had excelled throughout the debate. Our arguments were vastly superior to our opponents. It was clear that everyone in the room was rooting for us. Even the judges, who were supposed to be entirely impartial, couldn’t help but continually smile in our direction. Everything was going as smoothly as possible. The last thing we had to do was make our closing argument, which was my job as the cross-examiner/rebuttalist. I had my opening paragraph ready. I had a bulleted list of all the points I wanted to hit. I had a few carefully worded sentences that I wanted to say in closing. These sentences had been carefully crafted. I felt they were both relevant to the debate and also profound. Everything was perfect. All I had to do was start speaking. I stood up and learned and important life lesson. I couldn’t speak. Every time I tried to speak, this odd choking noise came out. My face turned red. I could see my parents in the audience looking at one another with disbelief and concern. I could feel the gaze of my teammates, looking at me in horror. I could see our opponents, smirking at my discomfort. To this day, I honestly don’t know what happened. Lots of theories have been presented to me about delayed anxiety, fear of success, repressed feelings of unworthiness, etc. But in that moment, I didn’t know what was going to happen. The clock was ticking: I could see that I had less than twenty seconds left. In those final 15 seconds, I managed to stammer out our argument, reiterate the main points, and get in one final quote that was supposed to inspire a deeper sense of meaning. I sat down. My teammates hissed at me. Both teams exited the auditorium and waited for the judges’ verdict. Everyone wanted to know what happened. I didn’t have any answers for them. “I need a second,” I said, and walked to the end of the hallway where there was a massive window and a view of the courtyard below. I stared out the window and searched for answers within myself. I didn’t have any. I had always engaged in public speaking with ease. This had never happened before, and certainly not during any of the previous debates we won that got us to the city finals. Down the hall from me, my team erupted into cheers. They found out we had won (barely) in spite of my final performance. We ended up celebrating the rest of the day. However, this celebration wasn’t as satisfying for any of us, given the fact that I had let everyone down. From this humiliation, I learned that life is full of unexpected incidents, even when you think you are in full control. Just as I thought I was going to sweep in and do an excellent job, I ended up embarrassing myself and causing my teammates much anguish. I also learned that embarrassment and anguish are both temporary and that character matters when it comes to bouncing back. When something baffling happens, we look for answers, and life doesn’t always provide them. It is this exasperating, and mysterious part of life that makes it worth living. It is still up to us to go boldly into the fray and to trust ourselves to be capable. I learned that people can sometimes disappoint you, and sometime you are the person who disappoints others. When this happens, if those around you treat you with grace, you should be very grateful. Apologize and say thank you. I learned that when I have a “choke moment” like the one at the end of the debate, that it’s not the end of the world and that I can always find my way back, even if its just with 15 seconds to spare. Without a doubt, the college application essay is a high-pressure endeavor for the average student. There is good reason for this: an average essay might just get you into your safety school. A fantastic essay, however, will open doors far and wide. We’ve found that so many students learn best when they are given clear examples. 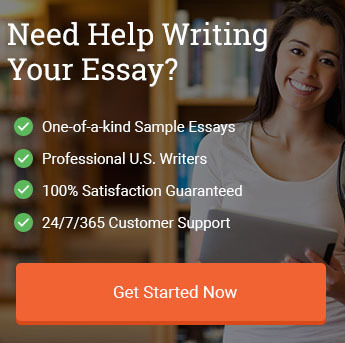 Thus, our custom writing service can provide students with completely unique examples of college application essays for students to use as a guide or to learn from when crafting their own. We’ve worked with students for years, and pride ourselves in being able to replicate any template or specification. With college application essays, it’s not just an assignment, it’s your future at stake. "How to Write a College Application Essay (2019 Guide)." Aceyourpaper.com. Student Network Resources Inc, 24 May. 2018. Web. 20 April 2019. Student Network Resources Inc. "How to Write a College Application Essay (2019 Guide)." Aceyourpaper.com. 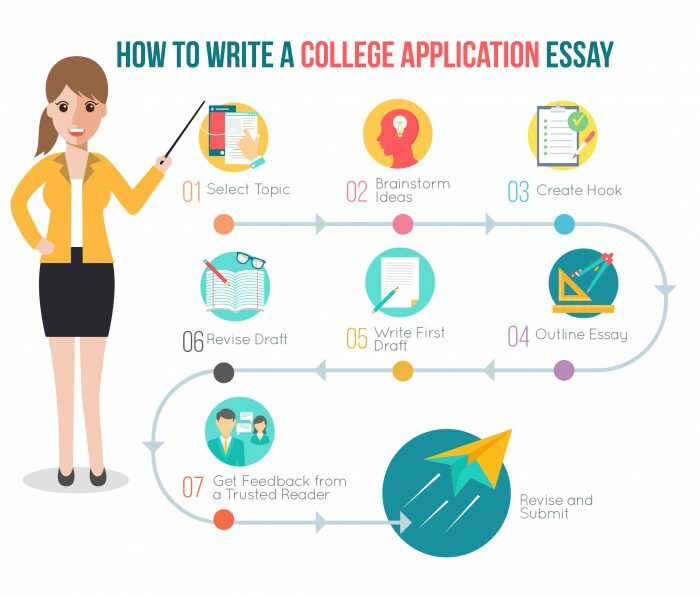 https://www.aceyourpaper.com/essay-writing/college-application-essay/ (accessed April 20, 2019).